Sun Health Communities | I’m over 60 and heading into retirement. Should I keep my life insurance policy? Most of us purchase life insurance for one of two reasons: to protect loved ones financially from unexpected death, or as a cash-value investment to pay for future needs, such as long-term care or assisted living. These policies can be smart (especially with older, more generous plans), but it’s important to review them periodically to ensure they remain useful as time passes. Circumstances and needs shift as we age and continue to build wealth, and something ideal 10 or 20 years ago may no longer be necessary or relevant to retirement years. Click here to learn how to stop worrying if assisted living is in your future. Most life insurance plans can be lumped into two major categories: term life insurance and cash-value insurance. Each offers a different type of benefit. A term life insurance is a death benefit solution for those who want to protect their loved ones financially from a sudden loss of income. It provides a cushion of money to help beneficiaries of the policy pay bills and recover their financial footing if a breadwinner in the household dies unexpectedly. For example, a couple in their thirties may purchase a 20-year term life insurance policy to pay off the home mortgage and college tuition, giving the children (and surviving spouse) an opportunity to financially recover if the worst happens. However, once children grow into young adults who don’t need the same level of financial support and/or assets accumulate, the policy may no longer be necessary. For policyholders with no children, a term life insurance policy can be used to protect the estate from a burden of substantial debt, but it may not be required for an asset-rich estate or a lack of heirs needing financial support. The purpose of a policy shouldn’t be the only factor influencing whether it’s kept or dropped. It’s helpful to look at when the policy expires. Since the cost rises drastically as a policyholder ages, when it expires and the potential cost of renewal may help the decision along. The type of payment schedule is also a commonly overlooked detail. Some term policies include rising payments, rather than a fixed premium the entire length of the term, which can be significant. It’s not uncommon for someone in their 70s, 80s and later to be shocked at how unaffordable their term policy suddenly becomes. They’re forced to drop their policy after paying into it for decades. Term life insurance policies may or may not be a good fit once someone is 60, but re-evaluating the policy frequently and considering alternatives periodically is never a bad idea. It ensures the money spent is aligned with changing needs of the policyholder and their loved ones. The second common life insurance policy are those with cash value, including whole life policies, universal life policies and variable universal life policies. For every dollar paid into a cash-value policy, a percentage covers the cost of the policy itself, with the remainder invested to grow the overall value of the policy. Eventually, cash can be withdrawn from the policy as allowable by its terms and conditions. Purchasing this type of policy in later years often doesn’t make sense because there isn’t enough time for the cash-value portion of the policy to grow significantly enough to be useful, but for those with older policies that have built up over the years, it can be a wise solution for long-term care costs or expenses for a senior living community. Options may include a lump sum cash withdrawal to close out the policy, smaller withdrawals over time, or even borrowing cash from the policy in a way that leaves the death benefit intact. 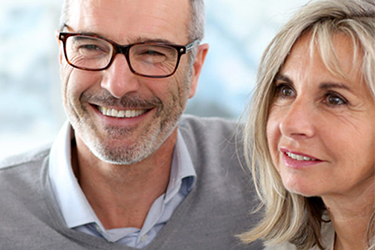 For those in retirement, it’s important to understand how much cash is available from the policy, any terms and conditions that surround withdrawing money, and how it might apply to a sudden need for health or care related expenses. Especially if an estate is asset-rich but cash-poor, confirming the policy is beneficial in case of emergency is important. If the policy has little cash value, is excessively expensive or can be replaced with more efficient and cost-effective options, it may be time to think about cancelling or adjusting the policy. After the age of 60, interesting new continuing care retirement options that pay for long-term care in advance can also be considered, such as a Life Care community or life plan communities (CCRCs). Learn more about Life Care and how it guarantees housing and care, even if financial circumstances change. Just because you still have a policy doesn’t mean it continues to be a fit throughout the remainder of someone’s life. Reviewing a policy at regular intervals and talking to appropriate professionals can make sure that money is being spent where it’s most useful. If you re-read the policy today, does it provide what you think it provides? Can that same money be reallocated elsewhere for a bigger benefit? Is it still appropriate for your goals and stage of life? Do you thoroughly understand what’s included and excluded? Are you considering a move to a senior living community that includes duplicate benefits when it comes to long-term care, assisted living, memory care and skilled care, and are the plan options that community offers less expensive than the life insurance policy? Are you paying for duplicate coverage in any way, or do the insurance assets you have work together with what the retirement community provides? Are you protected from outliving your money or the financial impact of Alzheimer’s disease requires years (or decades) of specialized memory care? Term life insurance, whole life, universal… all insurance plans are complicated, with spinoffs, riders and fine print that needs to be understood, and continually reviewed as life circumstances change. As retirement progresses, too, it may be time to think about future medical or long-term care expenses. Sun Health Senior Living offers three Masterpiece Living life plan retirement communities in Arizona, and a lifestyle focused on good health, wellbeing and independence. Beyond continuing care, each community also includes the Life Care guarantee to protect you against potential costs of long-term care down the road.